FREE Carnival Ticket Calculator - Great for Festivals too! 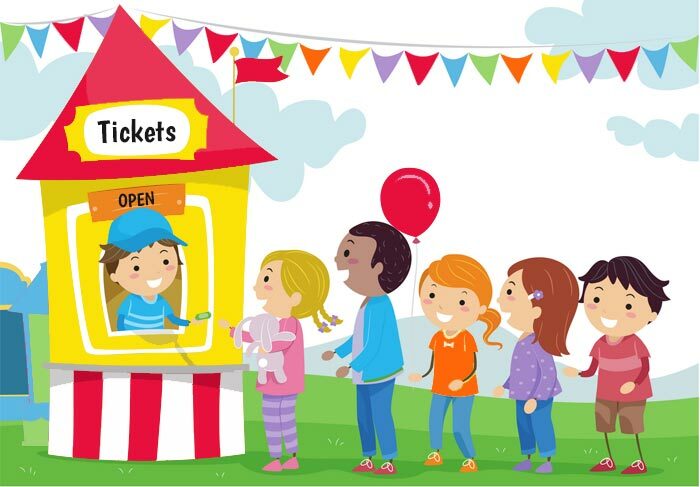 Enjoy our FREE Online Ticket Calculator to estimate how many rolls of tickets you need for your school carnival, fun fair, fall festival, fundraising raffle & more! Step #1 - Scroll Down the Page and Click the "Get Started" Green Button! If you don't remember your sales from last year - click the "Estimate Number of Visitors" button. Step #3 - Hit the "Calculate" button and look in the "Crystal Ball" for the MINIMUM number of Ticket Rolls You Need! NOTE: Click to see our Ticket Calculator Disclaimer - Click to See How We Calculated Ticket Rolls Needed.